Interview with Renée Bess! Plus GIVEAWAY! UPDATE 2! We cannot reach Jean Murphy, the original winner, after a week of trying to contact her at her email address and posting in various places hoping she sees it. So we drew a runner-up for Renée’s book, and that winner is Jenny! In the meantime, Jean, if you see this, please contact me at my website contact form available here. UPDATE! The winner of the drawing is JEAN MURPHY! WOOOOOO! Thanks, all, for playing and stay tuned, because next week I’ve got another author lined up for the hot seat. MUAH HA HA! Greetings, all! Thanks for stopping by today to hang out with me and author Renée Bess. Philly-bred former high school teacher Renée Bess has been writing in various forms for years. She’s got short stores published in venues like the “Labyrinth Newspaper”, Piece of My Heart, A Lesbian of Colour Anthology, and Ma-Ka Diasporic Juks: Contemporary Writings by Queers of African Descent. She has also published four novels, and she’s dedicated to the act of writing about African-American lesbians. We’ll do the drawing at noon on Saturday, July 21st, Eastern Standard Time in the States. Parole officer Alana Blue is ready to retire and move on to something new and get a break from the demands of the years she’s spent in her position. But things might get complicated, when a college student is murdered and Detective Johnetta Jones comes around because some of Alana’s clients might be on the suspect list. In addition, Alana has to deal with her homophobic daughter and a new parole officer she was supervising causes trouble for Alana both personally and professionally. A group of diverse women bond over their work at the fictitious Allerton University. Each has something she’s dealing with, and against the background of academic life unfold secrets, relationships, and desires. We return to Allerton University where Jaie Baxter, a Ph.D. candidate, is trying to win a prestigious writing grant. 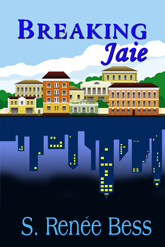 She sets her sights on one of the judges for the competition, but old wounds open, because the judge’s partner was murdered ten years previously, and Jaie may have had ties to it. Or did she? You’ll just have to read it to see! 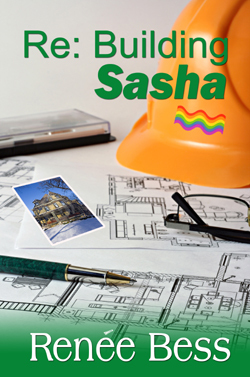 Sasha Lewis, the manager of a building company, is trying to juggle the company and an unfaithful partner who is growing increasingly emotionally abusive, which may have contributed to Sasha committing a major error on the job. 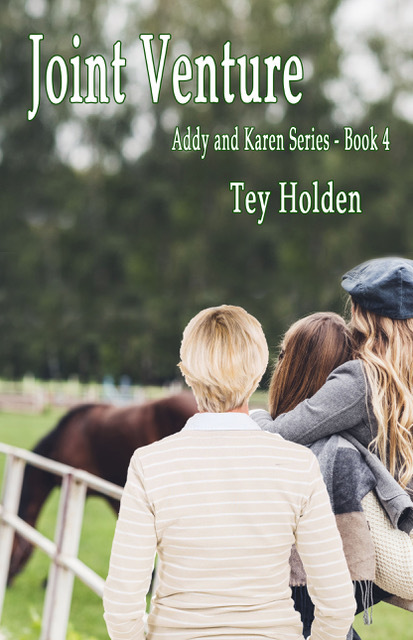 With her personal life in shambles and her professional life teetering, Sasha’s company is hired by Avery Sloan, whose social services agency needs to rehab an old Victorian. Sasha and Avery have met before. Will Sasha be able to overcome her circumstances to accept possibility with Avery? Hmm. Guess you’d better read it and find out. . .
And now, let’s chat with Renée. Andi: Hi, Renée! Thanks for taking the time to join me at Women and Words so I could pick your brain. We met at the GCLS the last time it was in Atlanta. I think that was summer, 2007. I remember thinking that you had groovy energy (yeah, I’m kinda woo-woo like that). Since then, we’ve run into each other a few times at GCLS conferences and we’ve chatted about a lot of different things, but I’m super stoked to get you here to chat about your work and the craft of writing. So what set you on the path to writing novels? I know you’ve written most of your life, including plays and short stories, but was there a defining moment that made you want to write a novel? Or did you sort of evolve in that direction? Renée: There was a period in my life when I wrote short fiction exclusively, but only during my summer breaks from teaching. I kept returning to one story in particular and adding more and more chapters to it. After working with that story the third consecutive summer, it dawned upon me that it was no longer a piece of short fiction. I suppose one could consider this the “defining moment” when I realized I had developed a novel length story. What is more significant is it never occurred to me that I couldn’t write a novel. Anything out of the ordinary that I’ve accomplished I’ve done because I didn’t imagine not being able to do it. I didn’t have a “limitation filter” superimposed over my efforts. Andi: I like that, how a story builds on itself and you kept adding more ingredients. One of the things I really enjoy about your work is that you bring women of color front and center, and you capture the interface between race and sexuality in ways that I’d sure like to see done more often in genre fiction. You have said that you are dedicated to the act of writing about African American lesbians. When you started writing, did you deliberately set out to do that or did your subjects evolve organically over time? Renée: Writing African American characters wasn’t anything I “deliberately set out to do.” I did it simply as an extension of my own identity. It was the most natural thing for me to do. Creating multi-ethnic casts of characters was also natural for me. I’ve spent my entire life living in racially integrated communities where people have been willing to relate to each other civilly and to refuse to believe hurtful stereotypes. The public schools, the university and the churches I’ve attended were integrated as well. This doesn’t mean I grew up without experiencing racism, or without having to assert myself from time to time in order to claim my rights. It does mean I witnessed examples of fairness and cooperation among people of different races. Co-existence within these environments along with an awareness of the consequences of our nation’s tragic past have shaped the way I view race, the ways in which I respond to racism, and the way in which my fictional characters relate to one another. 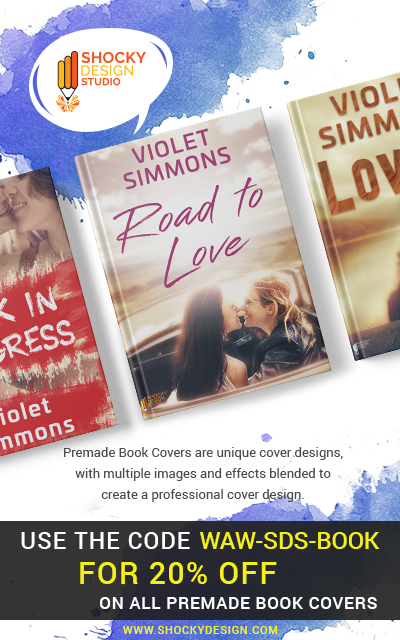 My characters’ issues are for the most part, universal: the challenges of a romantic relationship; interfamilial homophobia; coming out; dealing with trust in the face of deception; jealousy; physical and emotional abuse; deception. (Thank God all of these issues aren’t at play in any one single book.) In some cases, because the ethnicity of my characters impacts their response to the world, it also impacts their reactions to their issues. Social class and age play a large role in their stories as well. Andi: I think that was what I was trying to get at (and didn’t do so well with). I’m always interested in what pushes people to write, and how all the myriad facets of our identities come together in that push, and in the stories we tell. Some of us make conscious decisions to write our experiences and identities, while others might not, and might instead write an identity or experience of someone who they perceive as completely antithetical to everything they think they are. So thank you for pushing me on that! I also like that the people who inhabit your work often deal with myriad issues. Some are big, some are small, but issues nonetheless. Like real life, your characters have all kinds of things going on, all kinds of things they’re dealing with, and in the midst of that, they manage to interface with each other and some manage to find common ground romantically with each other. Given the many layers of your storylines, tell our readers a bit about how you come up with the ideas for your plots and characters. Renée: I never know where or when an idea for a plot will materialize. I try to be willing to have new experiences, to go to new places, to listen to people more than talk at them. New environments/experiences stir my imagination. Usually, the characters come first. The main character’s name is in my head long before I begin to write about her. I’ve had character’s names come to me quite randomly. For example, one day last week, as I stood in a cubicle and changed my clothes after my water aerobics class, I listened to the happy chirping voices of a gaggle of day campers who had just arrived. Their counselor chided them to hurry. Suddenly I heard her bellow, “Kennedy! Kennedy, are you ready?” While my ears listened to the child’s response, my brain and imagination recorded the child’s name, Kennedy. Then and there a new character was conceived. Who knows how long the gestation period will last? After a character or two shows me who they are, I let them lead me to their story. I prod them now and then because I always have a theme or an issue I want them to explore. Andi: What’s in a name, right? I’m always telling people that there are stories all around us. Every day, even in the mundane, there’s a story, because each of us has a way of doing the mundane, and how we think about it and execute the mundane tasks of our daily lives. Two people can drink coffee — same shape and color cups, absolutely same brew — but do it very differently. You write those layers, which I really enjoy. Renee: I’ve used the combination of 1st and 3rd person p.o.v. in each of my novels because again, it didn’t occur to me I couldn’t do this. Andi: And sometimes, that’s how awesome things occur. Renée: In each case the first person narrator is the character with whom I’ve bonded from the very beginning of the book. I know her best and deepest. She gives me the privilege of being able to describe her thoughts as well as her actions. So far, this 1st person narrator has been the protagonist, or one of the protagonists of my stories. Perhaps this practice will change in subsequent books. I don’t want to remain fixed in the same pattern book after book. As an aside, I noticed when she wrote The Help, Kathryn Stockett created multiple main characters, each one in 1st person p.o.v., and each one a distinctly different voice/persona. Fascinating. Andi: Oh, that’s right! Thanks for bringing that up. Going a little further back, Dickens did it, too, in Bleak House. That was a little different. Third person in present tense, first in past. One of the other things I enjoyed about Butterfly Moments was that the main character and her potential (I say “potential,” readers, because I’m not gonna tell you if it works out or not! HA!) love interest were older professional women. I’d say they were in their late 40s to early 50s (correct me if I’m wrong). I liked the way you captured the life stage that each of these women was in: comfortable in her own skin, willing to approach a potential relationship in ways very different than women might do in their 20s or even 30s. I love seeing romance between women like that. Cuz honey, there’s life after 40! What drew you to writing this type of romantic possibility? Renée: Reality drew me to write about women in their 50’s. Renée: An ever-increasing segment of our readership is approaching this age demographic. They/We deserve to have books populated with characters who reflect this reality. Most of us do not look as we did when we were in our 20’s or 30’s. Accepting the changes to our physical and emotional selves can be difficult. Andi: Agreed. But it makes for great writing fodder, too. Renée: I’m aware some readers have trouble accepting the changes, and they might not seek novels about women in this age group. Other readers have reached the acceptance stage. They’re eager to see themselves reflected on the printed page. When I write about older, more mature characters I try to describe women who are experientially rich, although I do include some characters who have never been able to find, appreciate, and nurture a loving relationship. The bottom line is. . .characters who have reached their fifth or sixth decade have stories to be told. Andi: So true. I encourage writers (or anybody, for that matter) of any age to cultivate friendships across generations. You never know what you’ll learn, who you’ll meet, or how enriching that can be unless you do it. Renée: One other factor that attracts me to writing about mature characters is feeling I’m out of touch with the lives of today’s younger women. The truth is, I don’t know what it’s like to be in one’s 20’s or 30’s in 2012. I have enough sense to intuit it’s different than it was when I was there. Andi: I think about that a lot my own self. I need to hang out more with my younger colleagues and friends to really pick their brains about similarities and differences between being in your 20s and 30s now versus 10, 20, 30, 40 years ago. Maybe I should just have a big ol’ party and invite everybody to it. Hmm. Renée: Whoa! Whatchu’ talkin’ about, Andi? Jaie Baxter a black lesbian Heathcliff? Renée: Renée Bess channels Emily Brontë? Andi: I think there’s a case to be made! 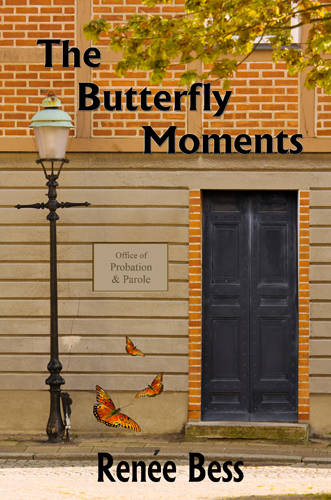 Butterfly Moments opens with a scene-setting that provides several layers, each of which involves character, inner thoughts, description of surroundings. You position your MC in time, place, and situation in a way that actually reminded me of Sinclair Lewis’s Babbitt. There’s a scene in that book where Babbitt is shaving — a perfectly mundane task for a man to do, but in Babbitt’s movements, and what he thinks about as he’s conducting this task — is a slow unspooling of the threads of Lewis’s narrative and of the tapestry of Babbitt’s life. And that’s what I was thinking when I read the opening to Butterfly Moments. How the layers and the details you provide about your characters slowly unwind from the spool to set your scene and move your narrative. Andi: Yikes. I mean, seriously? Then how about going to read the book and see? Renée: Oh well. If he’s still alive, he probably doesn’t read any LGBT lit, either. I find your seeing parallels between my plots and those of 19th and early 20th century lit. compelling, Andi. And to prove I’m willing to give it some thought, I used the word “whilst” near the beginning of this response. So let’s shift gears. Inquiring minds want to know. What’s your writing process? For example, do you have a particular space you use? Certain music? Certain rituals you do before you being a writing session? Renée: When I’m in the process of writing a book, I write in my head every morning (or middle of the night) when I awaken. I do the actual writing whenever I can, early mornings or afternoons. My writing space is a home office whose windows yield a view of trees and bird feeders. I don’t play music when I’m writing a first draft, but I love a smooth jazz background when I’m revising. (Anything played with a saxophone, my favorite instrument.) Lately I’ve been trying to remember to get up and walk through the house or around the backyard every hour and a half because I realize prolonged sitting isn’t a good thing. Andi: I’m glad to hear that. I’ve adopted a Hemingway approach these days. I’ll sit and write for about 45 minutes, then write at a standing desk for 45 minutes. And I’ll take breaks, too, for strolling and talking out a scene with my characters (probably a good thing nobody sees that). Anyway, sitting for long periods of time is not good for the back, at the very least. And because we were just talking about some other authors, who are a few of your faves? Renée: I prefer to list a few books that left an impact on me/my life. They are: The Hidden Staircase by Carolyn Keene (the first Nancy Drew mystery I read); A Tree Grows in Brooklyn, by Betty Smith (Little white girls struggle also); Selected Poems, by Langston Hughes (why didn’t my 9th grade English teacher ever mention him? ); The Autobiography of Malcolm X, with Alex Haley (for so many reasons); Cotillion, by John O. Killens (pretentious fools come in all colors); Conditions: Five, The Black Women’s Issue (I am not alone); Sula, by Toni Morrison (She said what? Let me read that passage again. ); Le Petit Prince, by Antoine de Saint-Éxupery (les véritiés, sans limites); and Go the Way Your Blood Beats, edit. By S.S. Ruff (the title itself affirms me/us). Andi: I so dig your reading list! Now tell us something that nobody would suspect about you. Like, maybe you teach salsa dancing or something. Renée: For a brief time I was a DJ in a lesbian club in suburban Philadelphia. Andi: HA! I KNEW it had to be something with music! Renée: The club was so far out in the sticks that the local toughs would drive by and yell, “Hey you faggots!” at the women standing outside the door. That job taught me it was possible to mix country and western with rhythm and blues. And everybody loved Motown and Sister Sledge! Andi: And I so love your playlist, too. So what’s next in the writing hopper for you? When can we expect another book and can you tell us a little bit about it? Renée: I’m working on a fifth book whose characters have revealed themselves to me. We’re exploring their story slowly but surely. The plot involves claiming identity, class conflict, and blackmail. Andi: How about THAT, readers? Keep your eyes peeled for that, for sure! All rightie. 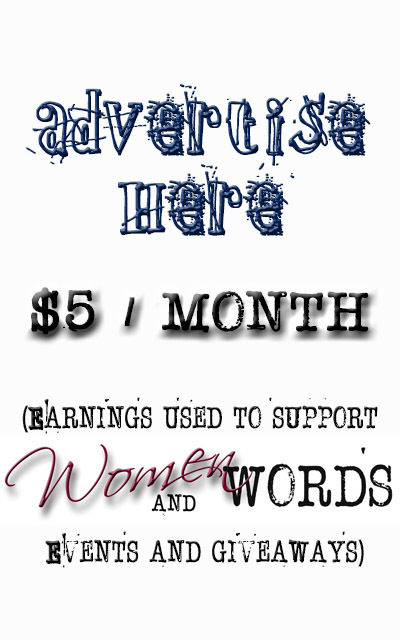 Thanks, Renée, for joining me here at Women and Words. Always a pleasure chatting with you. Take care and don’t be a stranger. Renée: Thank you, Andi! You’ve given me an opportunity to be reflective, and I appreciate that. So if you’d like to be entered in a drawing for a copy of The Butterfly Moments, leave a comment here letting us know you’d like in on that. Remember, don’t put your email in the body of your comment. The comment fill-out form asks for your email. Put it there. Nobody but the merry elves at Women and Words see it, thus. And they keep secrets. If you’d like to just leave a comment for Renée, go right ahead! She’d be more than happy to address any questions or comments you might have. You can find more info about Renée’s titles through Regal Crest Publishing HERE. Renée discusses Leave of Absence at Sistahs on the Shelf, HERE. 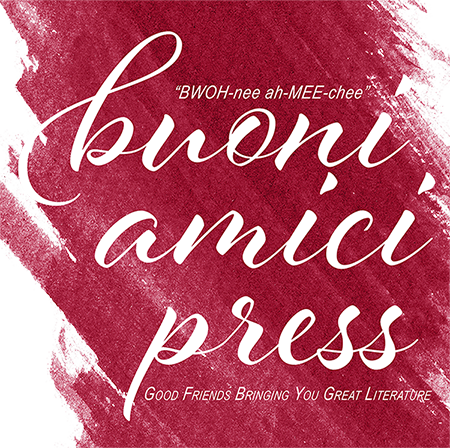 Previous Author Renée Bess joins me tomorrow! 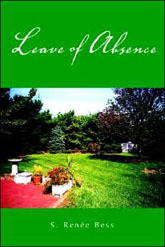 Next Author interview coming up Friday with Lynette Mae! This great. I’d like to be included in the drawing. 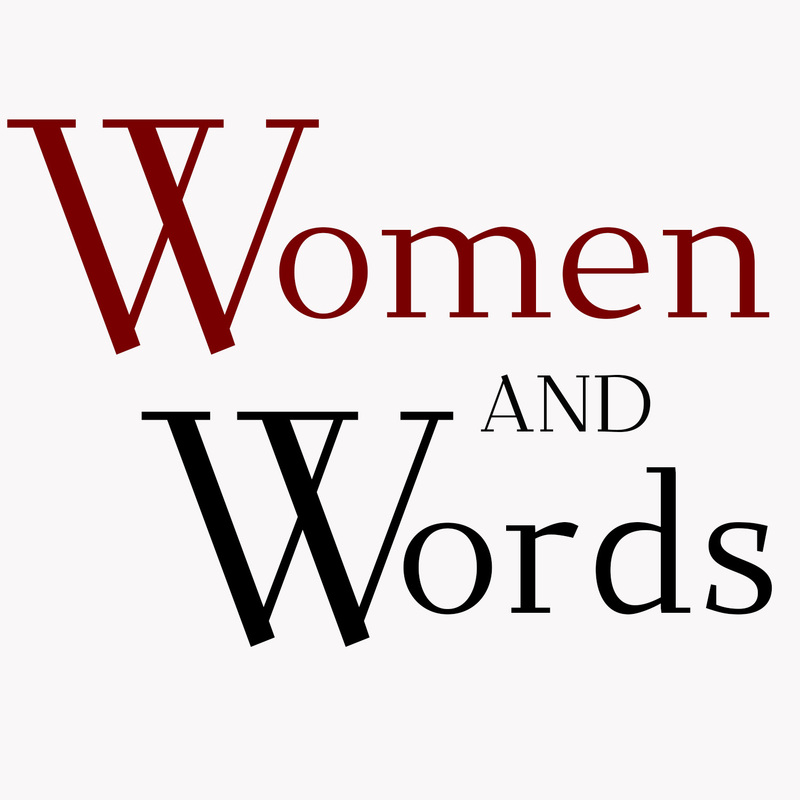 Love Women and Words, Thanks guys for all the useful info. Thanks for reading the interview, Jean! Good luck with the drawing. Great interview, Andi and Renee. I haven’t read any of your books yet, Renee, but I certainly will now. I’d like to start with Butterfly Moments. Pick me! Kate, I’m particularly proud of The Butterfly Moments, so I hope you’ll enjoy reading it. Hi Andi and Renee! What a wonderful interview. Thanks for sharing your insights and thoughts, Renee. You are inspirational. Thanks, Lynette. I’m one of your earliest and most ardent fans. Could you include me in the draw please. Will definitely try one of Renee’s books. Read Renee’s first two books and will definitely pick up the third and fourth. They inspire my playlists! Be well, all. What a wonderful compliment, Janine! I’m touched to know my work inspires your playlists. And I’d love to be entered in the drawing! Insightful interview with an insightful author. I took a thirty year hiatus from reading lesbian literature and am slowing making up for lost time. (I’m on Land of Entrapment right now, Andi!) I haven’t read any of Ms. Bess’ works yet, but after this interview she is on the TR list. Thanks for the introduction. And please enter me in the drawing! Thank you, Baxter. And thanks also for mentoring a novice writer for GCLS. Second Renée. Thanks for reading! Hello! Please sign me up for the drawing! Consider it done. Andi is on the case. Mais oui, un papillon rouge, bien sur. Les grandes personnes savent faire cela. Merci beaucoup, Liliane, pour ton commentaire. Any other French favorite authors besides de Saint-Éxupery? Zola is a great favorite of mine; still can’t manage Proust. Were you thrilled when Leduc’s La Batard became available? Hi Lynchly, I remember enjoying Zola because his work is so melodramatic. I liked reading Flaubert also, and the novel “Manon Lescaut” by Abbe Prevost. More than anything, I recall discovering sub-Saharan French lit along with the poetry of the Negritude Movement (Damas, Senghor, Diop, Cesaire.) I was able to see the thematic, voice, and tonal connections between that poetry and the poems that were in bloom during the 1960’s Black Arts Movement. Making those connections seemed to justify studying French. Oh wow, Renee. You found a whole world of literature, a whole universe. Have you ever taught classes about those writers? Are they available in English? As to Zola, I thought of him as passionate rather than melodramatic. But then, I read him in translation. I also liked reading Flaubert – and Stendhal. You’re right, Lee. I did find a whole universe of literature. During my career i taught more Soanish classes than French. The French courses were French 1 and French 2 for the most part. The poetry in its original version would have been too challenging for beginning language students. That said, I clung to the title of a book I’d read (Teaching as a Subversive Activity) when I was a first year teacher. Because of my love for literature, especially for poetry at that time, I did find a way to introduce my students to poetry from the Negritude Movement. I took advantage of the affinity many teens have for poetry and I presented small doses of verse in translation. I also used film in my courses, (“Small Change,” “Sugar Cane Alley,”) so my students could see/hear the language in a context outside of their textbooks. I weathered many complaints (“We have to read what they’re saying?”) but always felt good when I saw the students begin to engage with the characters and the story. Interesting interview. Particularly the part about writing mature characters. I would guess the issues faced by the MCs vary with their age. Thanks for reading the interview, Dillon. No doubt older characters face some of the same issues young characters encounter, like coming out (which can occur at any age) falling in lust or love, dealing with a blended family, illness, death, deception. While maturity isn’t always measured in the character’s age, the way older and younger characters react to issues can be different. Great interview! Thanks for playing in our yard for a day, Renée! I thank you for having this yard, R. G.
That was a cool interview. Don’t enter me in the contest, I just bought The Butterfly Moments. I’m sure I’m going to love it! Thanks so much for reading the interview, LVLMLeah! I hope you do love The Butterfly Moments. Good interview! I haven’t read your work yet, but I intend to fix that soon. I would love to be included in the drawing for Butterfly Moments. I am adding you to my book wish list! Thank you, Marie! Good luck with the drawing!